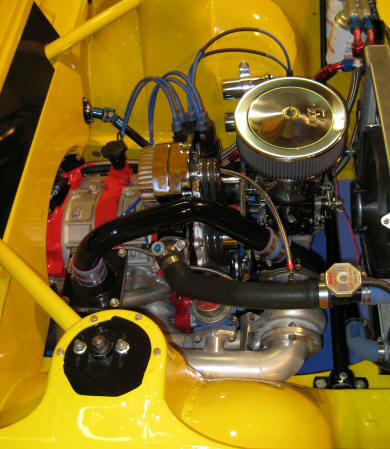 I am looking at putting a low boost 7 to 10 psi draw through turbo on a 13b running a draw through carb fuel system..like a holley 300 series 4 barrel so I have good non-boost drivability..It is going into a 72 Mg Midget so I do not want the complication of fuel injection..
Over the past 20 or so years I have built over 50 home made turbo systems on all kinds of makes and models of cars.. but never a 13b..when I was younger in my late teens,early 20s..I worked for a speed shop that built custom turbo systems.. I also had a similar idea, didnt really get much help on this forum try some rx7 forums they should be able to help. Its not that these folks dont know its just that the little13b is a little unusual . this was the question is asked a while back and didnt get much of a response. I have recently acquired a FREE 13b rotary engine with a RACING BEAT intake, a 2 inch header, 750 double pumper carb and i would like to rig up a blow thru turbo set up on it what would be a good junkyard turbo for it. Im putting the motor into a 12 degree deadrise aluminum jet boat with a berkley jet pump.